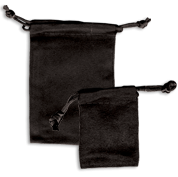 Shop our collection of suedine drawstring pouches and present your pieces in an elegant way! These economy articles are perfect for packaging jewelry items such as rings, earrings, pendants, necklaces and more. Thanks to our wholesale deals & discount prices you won't break the bank!